Backstage Osaka Hostel & Bar is located near Osaka’s party district, making it a great place to meet fellow young travelers from all over the world. Its small ground floor café and bar is also perfect for both chill afternoons and lively evenings over bottles of imported beer amongst newfound friends. 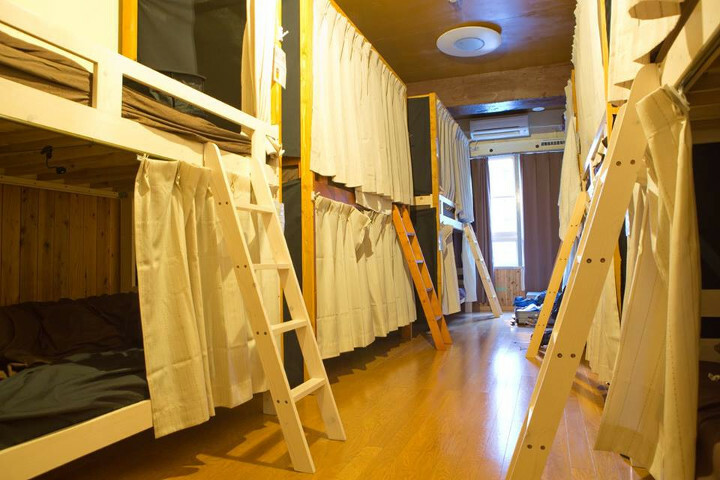 The beds of the dormitory rooms are wide and comfy enough to give you a good night’s rest, and although there aren’t a lot of facilities provided in the hostel as you’d expect, there are just enough to give you your money’s worth.